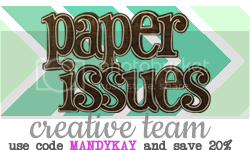 Paper Issues has a new linky party posted and this round is called "Admit One". The big tickets and the Lorax mustaches were created using my Cameo, the rest of the Lorax is just some circle punches and the "Admit One(two)" are stamped and embossed alpha stamps. They didn't take too long to make and the kids really loved them. Lorax mustaches on a stick from using felt and Truffula trees using pipe cleaners and pom poms. I decorated my daughter's gift bag with a little scene and quote from the movie and I made her a little Lorax for her room. Stop by Paper Issues and share your projects with us! If you do, you could win an awesome prize pack from Fancy Pants!